This is an adult age play story about the love between an age play couple. Spring time returns to Southern Pines, North Carolina. And with it comes the conclusion of Rose’s first year in the country. In that year, she met and fell in love with a cowboy named Emmitt. She also fully embraced her BabyGirl inklings, going so far as to share them with him. And as if their love was plucked straight the pages of the perfect romance novel, Emmitt became her Daddy. And life just kept getting better and better for her. When one of her BFFs from New England comes to visit, Rose encounters a series of events that keeping making her biological clock tick louder and louder. It gets to the point where she can no longer ignore it and the time for permanency in her life beckons her. Now, she must decide if Southern Pines is her new home and if Emmitt is her Daddy Man for life. A few crab legs, some lobster, all the grilled steaks she could eat and some tasty wine wet her appetite as Rose pursues the knowledge of The One. 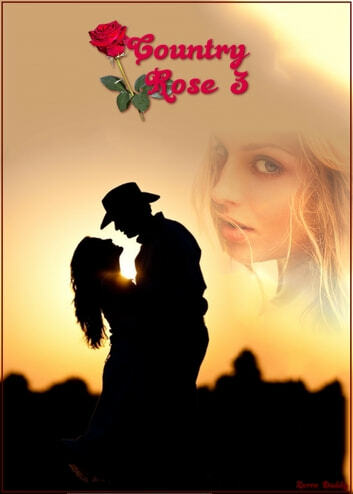 Country Rose 3 continues the ABDL romance story of Rose - a city girl turned country flower and Emmitt - a cowboy who has a habit of taking off his shirt. This is adult material and therefore is not intended for minors.